Moisturizing in the morning protects against environmental elements that can destroy the skin’s integrity. Moisturizing in the evening infuses the skin with vital nutrients to deeply hydrate and heighten the skin’s immune response for accelerated new cell growth. For eyes, it is essential to apply a concentrated eye cream moisturizer to replenish water loss, maintain hydration, tighten and tone skin laxity, and lighten dark circles as we age, as the eye contour is thin and lacks the oil necessary to lubricate and hydrate naturally. For lips lubricate and hydrate to correct and prevent cracks and lines with a lip serum. 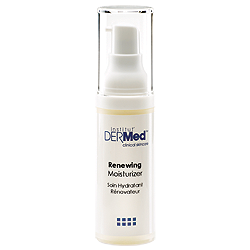 Defend your skin from harmful environmental exposure with the Institut’ DERMed Renewing Moisturizer formulated with a potent antioxidant complex of Tea Extracts and L-Superoxide Dismutase to fight free radical damage and prevent visible signs of aging. 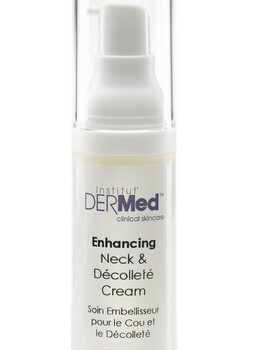 Rejuvenate your neck and decollete with the luxurious Institut’ DERMed Enhancing Neck and Decollete Cream. Formulated with L-Lactic Acid and Rose Hip Oil to repair, hydrate and firm the skin the this fragile area. Reduces fine lines and wrinkles and lightens hyperpigmentation.